Eden Caceda isn’t excited to visit a graveyard any time soon. Zombies and returnees seems to be all the fashion on television in recent years, with The Returned,The Walking Dead and The Leftovers taking centre stage across international screens. So when ABC’s new series Glitch, centering on the return of six former residents from the dead, was announced, there were many doubts on whether an Australian version of the genre was necessary or if the high concept drama could be pulled off at all. 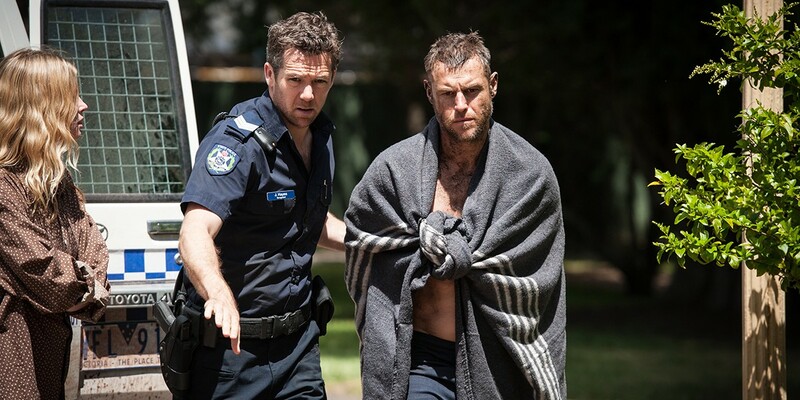 Set in the fictional town of Yoorana, Glitch opens on James, played by the ever-likeable Patrick Brammall, the local police officer who is one night called to the nearby cemetery where he comes across six naked, dirt-covered people with no memory of who they are or what they are doing there. But things start to clear up when James releases one of the girls is his deceased wife Kate, played by Emma Booth. But each of the former residents are all from different periods of time and end up revealing some interesting and uncomfortable truths that are still relevant in today’s Australian society. Produced by the same creators of acclaimed Aussie series’ The Slap and Devil’s Playground, Glitch is also an exceptional new homegrown drama. In order to immerse yourself in the story, a level of believability is required, but is not regrettable. Well acted and supremely directed, the script at times falls short but doesn’t fail to be thought-provoking. The series asks some real questions; how would you react is a loved one came back from the dead? What would you say to them? How would they deal with the years lost? What would you do if you had moved past the sadness of their death and they returned? The most refreshing part of Glitch is that it’s not a depressing and dark drama that’s emotionally exhausting. While its subject matter is intense and gloomy, it has a good balance of drama and humour, while still retaining interesting storylines and back-stories. It’s a successful paranormal mystery series, but ultimately it triumphs because of the humanity of the story. Originally published in BULL Magazine, 6 August, 2015.